I met Greg and Natalie Snider on Isla in Dec. or Jan. 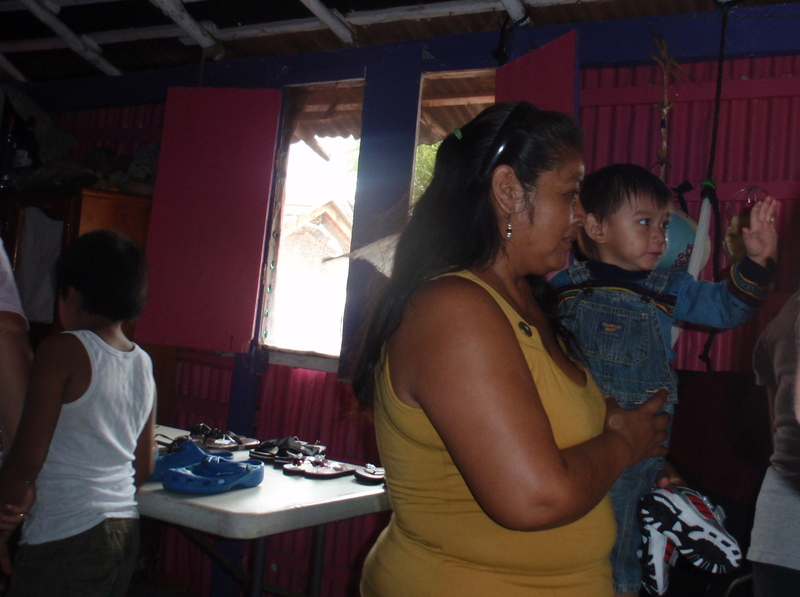 They told me about their shoe missionary (Zapatos Para Los Ninos; Shoes For The Children) and I knew that during some future visit I would want to join them to distribute shoes to those in need on the island. I told my daughter, SIL and their friends that last October I introduced them to a new Isla experience, a baby turtle release and that this year I wanted them to experience giving shoes to those in need. 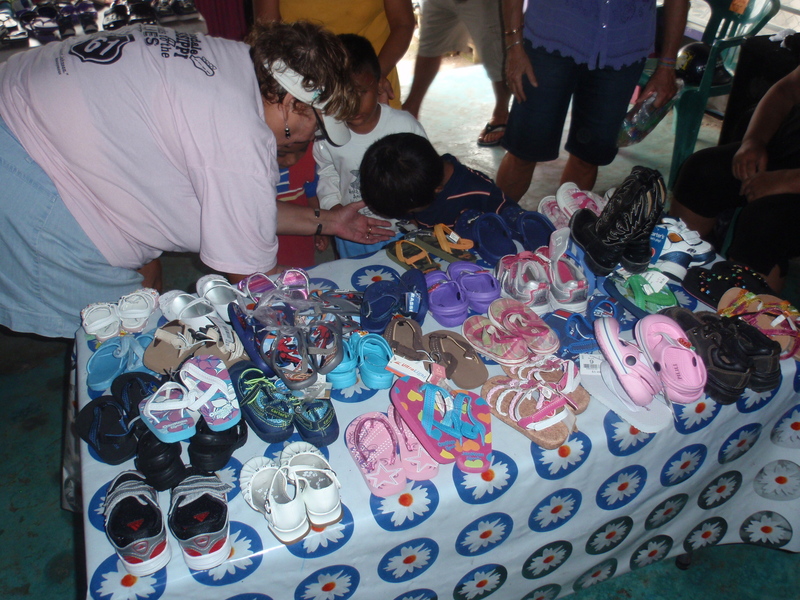 Between my daughter, her friend and I we had probably 80 pairs of shoes, flip flops, tennies, sandals and other types of shoes. Two of my friends were on Isla and they wanted to participate too. They bought a bunch of shoes here locally. The shop owner of where they bought the shoes thanked them and said now she could pay rent. Today we met Greg and Natalie at Colonia Guadalupana (The Invasion) This had to be one of the most memorable experience I have ever had not just on Isla but anywhere. The only way that I can describe myself after this experience was giddy. Not many people would use that as an emotion to describe my usually more serious self. I love to give but this was just so much more than giving. It was truly a moving experience that I will never forget.